Top musical acts from around the country and some of the nation’s best independent singer-songwriters are set to perform at the 26th annual Wildflower! Arts & Music Festival May 18-20 at the Galatyn Park Urban Center. The festival will once again host an impressive lineup of award-winning performers across a variety of musical genres including Alternative, Pop, Country, Rock, Folk and more. Battle of the Bands: Each year, three high school bands compete for the title of Wildflower! Arts & Music Festival Battle of the Bands winner, taking home a generous prize package, including cash and much more. A qualifier round hosting up to nine bands will take place prior to the festival at Prophet Bar Dallas (2548 Elm St. Dallas, TX 75226) on Saturday, April 14 at 7 p.m. At the judges’ and producer’s discretion, two bands are selected to compete in the finals at the Wildflower! Festival, and an additional two to three bands are selected to compete in an online fan’s choice contest for the third and final slot at the festival. Recent winners include Weather King and Love Past Blue. Contact wamfest.botb@gmail.com for more information. Budding Talent Vocal Competition: This competition gives young singers a chance to showcase their talent and perform at Wildflower! 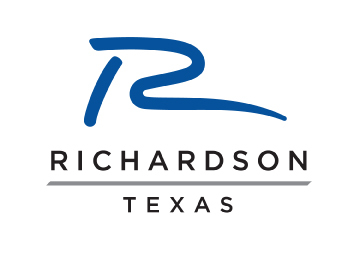 qualifying auditions for the competition will be held Sunday, April 22 from 1-5 p.m. at the City of Richardson Senior Center (820 W. Arapaho Rd., Richardson, Texas 75080 – North Entrance). Finalists are selected in five different age categories from preschool (age 3) to 12th grade, to perform in the finals on the United Healthcare Singer Songwriter stage in the Eisemann Center on Sunday, May 20. Contestants must pre-register by midnight Monday, April 16. Wildflower! Al Johnson Performing Songwriter Contest: Ten of the best singer-songwriters will be selected to compete in the songwriter contest to encourage the growth of the art of independent performing artists. Representing a variety of musical genres including Acoustic, Americana, Bluegrass, Blues, Celtic, Country, Folk, Pop and Rock, the finalists will perform on Saturday, May 19 at 11:30 a.m. on the United Healthcare Singer Songwriter Stage. The contest is judged by industry song writing and performing professionals, which allows finalists to receive a unique opportunity to develop their own artistry through feedback and mentorship. Wildflower! United Healthcare Singer Songwriter Stage: Festival fans can check out the nationally acclaimed singer-songwriters scheduled to perform full sets on the United Healthcare Singer Songwriter Stage throughout the weekend. Performances include: Radney Foster, John Ford Coley, Keith Harkin, Trout Fishing in America and many more. Wildflower! Songwriting Workshop: Now in its 10th year, the Wildflower! Songwriting Workshop provides songwriters an intensive learning experience. Boasting past instructors like Kathy Mattea and Austin City Limits Hall of Fame inductee Lloyd Maines, the 2018 instructor will be Texas-based Folk, Pop/Rock, Country singer/songwriter Drew Kennedy. Kennedy released his first LP, Hillbilly Pilgrim, in 2003, and has released six more, including his latest, 2014’s Sad Songs Happily Played. For more tickets and additional details about the workshop, visit the Wildflower! website. Goo-Goo Dolls, Kool & the Gang, Spoon, Jimmy Eat World, Lifehouse, Switchfoot, Reckless Kelly, Eve 6, Starship featuring Mickey Thomas, A Thousand Horses, Gin Blossoms, Radney Foster, John Ford Coley, Graceland Ninjaz, Rich Girls, Infinite Journey, Keith Harkin, Trout Fishing in America, Max and Heather Stalling and Walt Wilkins & The Mystiqueros. In addition, The Ultimate Eagles Tribute – On the Border, will perform daily at Hill Hall in the Eisemann Center. Tickets to Wildflower! are available for purchase now. Three-day passes to the award-winning event can be purchased online only for $65. Single-day tickets (good for entry Friday or Saturday during the festival weekend) can be purchased online only for $30. Tickets purchased at the gate are $40. Sunday tickets can be purchased online for $15 ($20 at the gate). Tickets for kids ages 5-12 are $5 and can be purchased online or at the gate; admission for kids 4 and under is free. Friends of the Festival VIP Packages are $375 and include two hospitality passes, reserved parking, poster, special seating, and a weekend of catered food and beverages. For complete, up-to-date event information, visit www.wildflowerfestival.com, call 972-744-4580, or follow Wildflower! on Facebook, Instagram or Twitter and use the official hashtag #WAMfest2018. Major sponsors of Wildflower! include: Methodist Richardson, City of Richardson, Bud Light and Cupcake Vineyards. Media Note: For more information, please contact Serri Ayers, Superintendent of Community Events for the City of Richardson, at 972-744-4582 or serri.ayers@cor.gov.